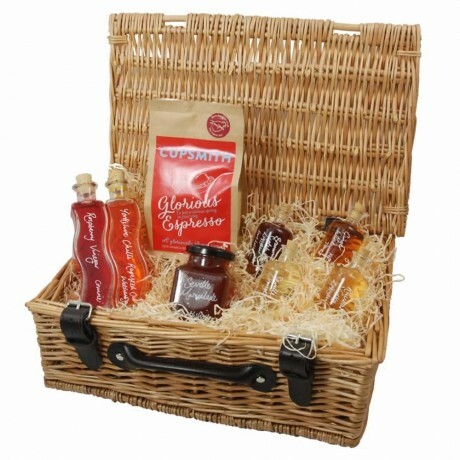 A high quality, heavy weight wicker hamper with leather straps packed full of carefully selected products from Demijohn's range of artisanal food and drink. The hamper basket has dimensions of 380 x 250 x 154mm. It arrives in a protective cardboard outer box, and the products inside come nestled in a natural coloured wood wool.